It’s often stated as a disadvantage that large businesses cannot turn on a dime. Change requires monumental efforts; new processes and employee buy-in, soft launches, layers of approval, and hundreds of power point presentations. This culture certainly deserves its share of criticism, but it’s not all bad. Small businesses have the luxury of quick pivots. At various stages of growth and development, it’s easy to adopt new software and new ideas. An organization with 20 clients can communicate more effectively than an organization with 20,000 customers or more. As a small business, it’s important to understand this distinction and see it for its advantages. You don’t need a 20-page manifesto to start posting to Facebook, but you should have a basic understanding of your clients and customers. You don’t have to be so rigid that the strategy doesn’t leave room for adjustment, but you should establish some consistency and let your audience grow organically over time. It can be very frustrating to work hard trying to build that social media following and feel like you’re spinning your tires; still no major engagement after several weeks or even a couple months! But over the long run, consistency will build a foundation of trust and your customers will know what to expect from you. Take a cue from big corporations on this one – draft a social media strategy and stick with it. Make small adjustments over time, but always communicate with one cohesive voice. You’ll never get out of the woods by walking in circles; it may take a while, but walk in a straight line and you’ll eventually find a road. Just recently, Tracx came out with their authoritative 2017 social media infographic – and it’s an internet marketing nerd’s dream. The graphic shows some of the most important data points about social media users and adds some fascinating trivia to drive home those points. For example, did you know that YouTube reaches more 18-49 year olds than any cable network in the United States? This is the type of infographic that becomes a conversation-changer. While many small businesses use arbitrary decision-making to decide how to access their audience, these statistics provide better insight for well-informed marketing tactics. If your target demographic is under the age of 35, for instance, you have a strong argument for being on Instagram, where 90% of users are in your target and 53% choose to follow brand accounts. But enough of my introduction. Below is the 2017 State of Social infographic from Tracx.com. To learn more about what this means for your marketing efforts, send us an email today. Or check out our small business packages for social media marketing and insights. 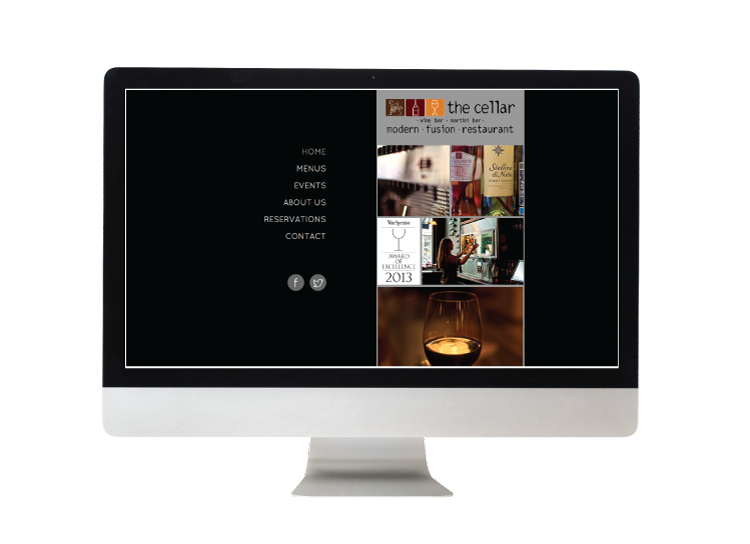 Today, we are announcing the launch of a new mobile-responsive website for The Cellar, a restaurant and wine bar in Corning, NY. This project was fun to sync up with recent renovations to the Market Street restaurant, and the new website provides a better all-around experience for visitors looking to peruse the menu, connect on social media, and make dinner reservations online. 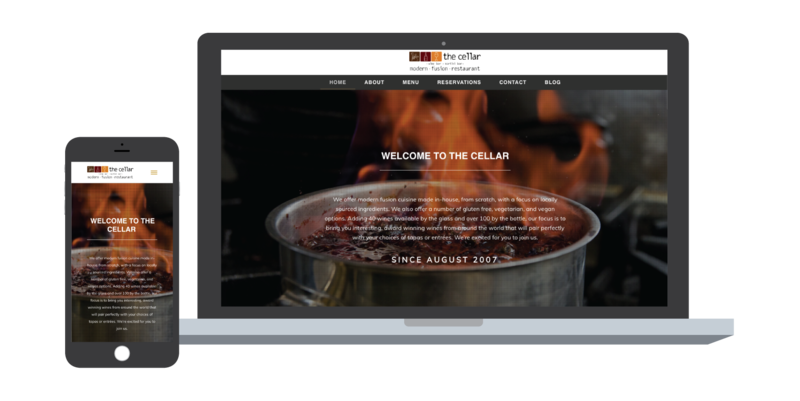 Creagent Marketing designed the original website for The Cellar almost 5 years prior, and it was time to not only update the aesthetic, but also to make it more mobile friendly. The new website features much of the same content while highlighting some of the great photography by Lee Speary and making it easier to navigate and read on all devices. To view and navigate the full site, visit www.CorningWineBar.com. 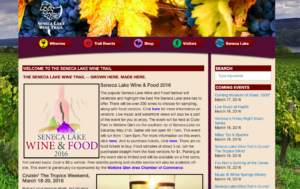 In early January, Creagent Marketing launched a new “interim” website for the Seneca Lake Wine Trail. The organization’s old website could no longer be updated and its content was out of date. 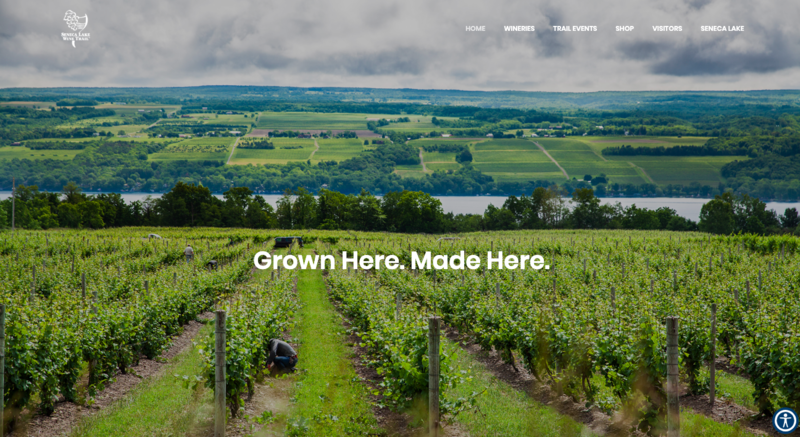 Without the proper amount of time to issue a Request for Proposal (RFP) and incorporate every piece of desired functionality, the Seneca Lake Wine Trail turned to Creagent for a quick overhaul that would incorporate all of the most essential content within a beautiful, responsive layout. Our team dug into the organization’s library of photography, featuring shots that provide the range of experiences one should expect when visiting the Wine Trail. We quickly organized the written content to match the old website while executing some changes to improve navigation and flow. To view the entire website, visit www.SenecaLakeWine.com. What’s Happening to Social Media? Social media began in chat rooms and email chains. In most households, it started with dial-up access to services like AOL, each with its own built-in community. The idea that an individual could connect with someone else on the other side of the country, or the world, was not altogether foreign. But the idea that those connections could happen between strangers – and that one person could communicate with hundreds or thousands of others at once… that was a privilege once reserved only for businesses who could pay for air time on traditional media. Today, we take it for granted that a single individual with something interesting to say can immediately transmit their message to millions of internet users around the world. With a lot less money than before, businesses can still pay for more exposure, but it took some time to figure out how to deal with the “social” part of social media. We now understand that social media is a platform for engagement, conversation, and connection. Businesses small and large have learned how to leverage social media with transparency and humility. They’ve learned the differences between traditional advertising and social media marketing; that listening is just as important as sharing. But as much as businesses have learned over the years, it seems like our government is just starting to crawl. We currently have a president who still seems used to the days of propaganda, when newspaper and television reporters could be easily swayed by media advertisers and stakeholders. The POTUS uses social media quite infamously, but his use resembles traditional advertising where the message used to be one-sided. However, now that he and his administration are seeing how easily other social media accounts can respond – or simply share their own information – there’s a mad scramble to shut it down or discredit anything that isn’t theirs. The problem is, they’re late to the game. Businesses and individuals have established credibility for over a decade now. Authors, artists, scientists, restaurants, clothing brands, and home-grown photographers have built an audience of rabid fans from all over the world. In every small circle, the influencers who have earned their keep control the message. Social media is already so intricately and tightly bound that even the richest, most powerful person in the world couldn’t infiltrate all of it. That is, not without playing by the rules. These rules aren’t quite so strict on sites like Facebook or Twitter, but in order to be a true influencer, the same concept still applies: your content has to be worthy of a virtual “upvote.” In other words, Donald Trump can say whatever he wants on Twitter, but even he is not immune to immediate feedback, fact-checking, and simply being ignored. In fact, he’s only the 57th most followed user on Twitter, behind several musicians, athletes, news sources he’s deemed as “fake,” and yes, Barack Obama (number 3 on the list). So as we all sit around and wonder what’s happening to social media, it’s important to remember that there aren’t any real secrets to it… Every individual has a voice, every user can choose who to follow, and every influencer has to earn her or his own audience. That’s always been the case, and it was a hard lesson to learn for businesses. Now we get to watch while our government learns the same lesson.